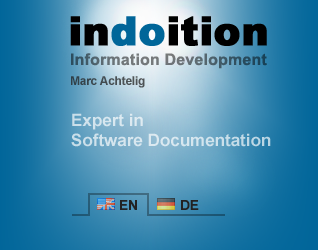 The Technical Documentation Solutions Series is a compilation of hands-on books that encompass the whole process of creating user manuals, online help systems, screencasts, plus other forms of user assistance and technical communication. Each book of the series covers one specific task in the process so that people who are involved in only one phase of a technical documentation project can easily focus on just that part. The books in the series strictly avoid all sorts of lengthy theory but provide best practices, hands-on solutions, clear recommendations, working aids, and examples that you can easily remember and readily apply to your own work. Note: The original book has significantly more pages than this preview. Anyhow, this preview is very liberal. If you like the book and actually read larger sections, please be fair and buy a copy. Thank you. Users want manuals that are easy to read, with short sentences, simple words, and unambiguous instructions. Unfortunately, writing plain language is much more difficult than writing overblown instructions that only an expert can understand. Writing complex texts is simple—writing simple texts is complex. This book shows you how to write simple user assistance rather than complex user annoyance. As it’s a book about stating your message clearly, it also states its own messages clearly. It’s free of boring theory and free of highbrow grammar terms and gives you clear recommendations and catchy examples that you can easily remember and apply to your own work. ▪General technical writing principles that make your texts plain, simple, and easy to understand. ▪On the paragraph level: Rules for writing the standard elements that form a topic, such as headings, subheadings, procedures, lists, tables, warnings, notes, tips, examples, cross-references, and links. ▪On the sentence level: Rules for building plain and unambiguous sentences. ▪On the word level: Recommendations for using simple words und consistent terminology. ▪Grammar and word choice FAQ. Even the best information is worthless if users can’t find it. Providing user-friendly structure and navigation is just as important as providing well-written content. ▪If you think that your document structure should follow the structure of your product’s components and functions: You’re wrong. ▪If you think that the type of document that you prefer is the same type of document that your clients prefer: You’re wrong. ▪If you think that all the information that you have is important: You’re also wrong. ▪General structuring principles that all structural decisions have in common. ▪Choosing media: Should you provide a printed or printable user manual (PDF), online help, or both? What information should go into the user manual, and what information should go into online help? Which help format should you use? Can context-sensitive help calls be implemented? Should you provide interactive features and social features? ▪Planning documents: Should you put all information into one document, or should you supply several user manuals for specific purposes and user groups? How should you name your documents? ▪Planning document sections: What are the major sections that your documents should consist of? Are there any standard sections that you shouldn’t forget? ▪Planning topics: What types of information do your clients need? How should you build and name the individual topics within the document? ▪Planning the order of sections and topics: How should you organize the sections and topics within your documents? What comes first? What comes later? ▪Planning navigation: Which navigational devices should you provide in printed documents and in online help systems? Where should you provide links or cross-references and where not? Aesthetics isn’t the only thing that you should be striving for when you design a template. When creating technical documentation, such as user manuals and online help systems, usability, readability, and simplicity are just as crucial. The design must please the eye and at the same time communicate the content clearly. Paragraph styles and character styles should be efficient to use when writing the document. The layout process should be automated as much as possible. As user assistance documents are frequently updated, an automated layout process is much more important here than in other kinds of books. For example, when you insert a new paragraph into a document, this shouldn’t result in you having to manually tweak all subsequent page breaks—not to mention page numbers, cross-references, the table of contents, and the index. All chapters provide various examples that you can use for inspiration and as starting points for your own designs. The book is both for designers who are in charge of creating a template for a user manual or online help system and for authors who have to create their own designs and style sheets. It provides clear rules and unambiguous recommendations. No boring theory, no musings, no shoptalk. If you want to be notified when this book is available, please contact me. Thank you. Special questions? I can give you expert advice and individual training on creating and optimizing technical documentation, especially software documentation. For more information, go to Services. Short of human resources? I can create top-quality user manuals, online help, software videos, and all other forms of software user assistance for you.